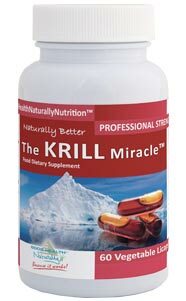 Fish oil or krill oil? Which is better? What are the health benefits of these oils, and does science provide evidence of these benefits? This section of the site reviews some of the current research on fish and krill oils. We are carefully monitoring PubMed and adding new summaries of some of the more interesting and important scientific articles being published there. While this section may be a little technical, we have tried to provide easy to read and understand summaries of each paper. If you find other interesting research, please let us know and we may add it to this site. Below lists all PubMed papers summarised on our site. Click the headlines to visit and read our summaries. You can always come back to this page by clicking on the “Scientific Literature” link in the header of our site. Not enough omega-3 and too much omega-6 fatty acids in the diet is a major problem today and people are suffering because of it. Science looks into the anti-cancer Influences of Fish Oil (FO) to determine the actual effects of omega-3 fatty acids. The results may surprise you. Studies demonstrate the consumption of fish oil or perilla oil that is rich in n-3 polyunsaturated fatty acids (PUFAs), protects against NAFLD. Scientists deliver the results of tests on the oxidative-stability of fish oil-in-water emulsions together with FPH or fish protein hydrolysates. Fish oil supplementation may prevent oxidative stress in the mother and her newborn child during first months of postpartum life.